Shannon the Ocean Fairy’s magical Golden Conch Shell has been lost in the oceans of the human world! 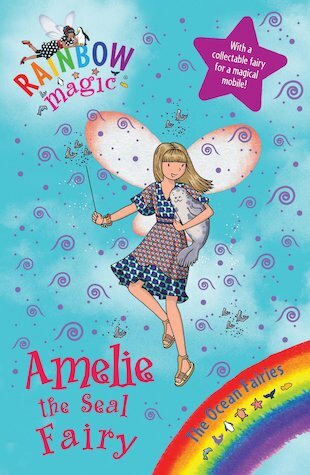 Can Amelie the Seal Fairy find her magical seal, Silky, and the second piece of the missing shell…? Great book. Fave part when the naughty goblins kidnap Silky the seal.